Buying a home is a major investment, and there are several factors you’ll need to take into consideration before making the big purchase, including deciding which neighborhood you want to live in. St. Louis has plenty of great neighborhoods to choose from, and it can be challenging to decide which one is best for you. 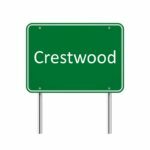 Crestwood is a popular area for many people, but, like every neighborhood, it’s important to do your research before searching for homes for sale in Crestwood, MO, to be sure it’s a good fit for you. Crestwood is located in the southwestern portion of St. Louis County, and the average price of houses for sale in Crestwood, MO, is about $215,000, according to real estate company Zillow. There are also many fun things to do in Crestwood, with the Sappington House & Museum, plenty of restaurants and shops, and other activities like Grant’s Farm and Forest Park just a short drive away. When looking for Crestwood, MO, real estate, one of the most important things you’ll have to do is find the right real estate agent. Not all Crestwood Realtors are equally qualified, and some are definitely better than others. Choosing the right Realtor can make the difference between finding a house that’s a perfect fit and settling for a home that you’ll later regret buying. So when finding an agent, be sure they’re familiar with the area so they can get you the best deal on a great home. Once you’ve decided that Crestwood is the right neighborhood for you and your family and you’ve found a great agent, it’s time to start the search for your dream home.